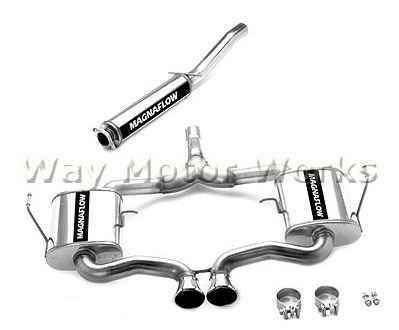 Magnaflow Catback Exhaust for 2002-2006 R53 MINI Cooper S. This system will make HP in your MINI, but it is loud, and yes it can drone on the highway. But this system does make 10-14hp, and around 4-6 ft lbs torque from our testing. It is a direct bolt on, no cutting required. 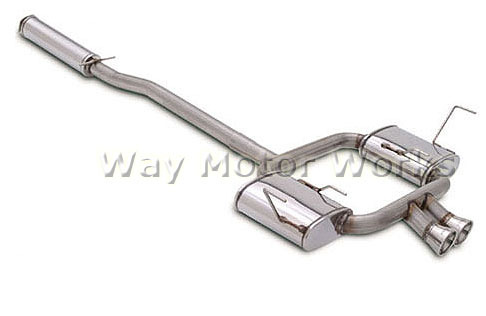 System comes complete in 3 pieces and includes the gaskets and bolts.